Yes, you can actually get paid by helping your friend locate work. There are many online companies that connect employers with employees—and they offer rewards for referring someone who gets hired. So, if you refer your friend to an employer and he gets hired, you can get paid. The rewards vary, but they range from $50 up to thousands of dollars depending upon the job position. Try writing articles or blog posts. There is a growing number of websites that will pay for articles and blog posts. You can make money online fast by writing for some of these sites, although the pay would not be up to the standards expected by well-established writers. Beginning writers may earn a few dollars per article or post, along with payments based upon how many people visit the webpage on which the article or post is listed. 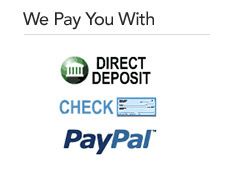 Some websites do offer higher payments, though, especially for established or well-known writers. Dozens of survey companies offer payment in exchange for completing surveys. While this isn’t a continual or guaranteed method of earning money, it can definitely bring you some extra cash. Some companies pay a dollar or two per survey; others may offer more for longer surveys. You may also end up doing product tests for some survey companies—you can earn more money for these because they usually entail using a product for at least several days and then taking a survey about the product. If you have computer skills, you could offer assistance to other internet users online for a fee. For example, if your web design or graphics skills are good, you could design websites or blog templates for other people for a fee. Or, if your technical skills are superior you could give tech support to other internet users. Another way to complete free lance jobs is to do so through the Amazon Mechanical Turk program. Through this website, no prior computer knowledge is necessary because there are a wide variety of free lance jobs available. For instance, some ask users to compare certain terms to a multiple choice of web definitions; others ask users to join Facebook groups to post certain links or offers. 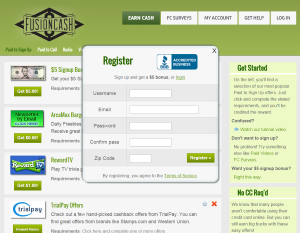 Payment varies from a few cents per question to several dollars per opportunity. There are other legitimate ways in which money can be earned online. Just be sure to follow one important rule—if an opportunity asks you to pay money, steer clear because it is likely to be a scam.